At Mesh & Bar we believe our success comes from the success of our clients. We take great pride in not only meeting the expectations of our customers but continually aiming to exceed them. Our experienced staff and their attention to detail ensures we are able to deliver complex projects with a high degree of accuracy. At Mesh & Bar we committed to providing the highest quality products to our customers. Our steel products are ACRS certified and manufactured in accordance to the AS/NZS 4671 standard. Our internal management systems are based on the concept and commitment of continual improvement, as such, we ensure that we consistently meet our accredited ISO9001 standard. Mesh & Bar in Laverton move to new purpose built facility in Derrimut, Melbourne Vic. Reomart A manufacturer and distributor of Reinforcing fabric welded mesh, cut and bent reinforcing bar with offices based in West Australia and the Northern Territory. 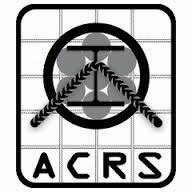 The ACRS administers an independent, expert, industry-based, third-party product certification scheme, certifying manufacturers and suppliers of reinforcing, prestressing and structural steels to Australian and New Zealand Standards. ISO brings together experts to share knowledge and develop voluntary, consensus-based, market relevant International Standards that support innovation and provide solutions to global challenges. 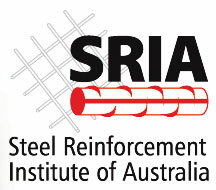 The Steel Reinforcement Institute of Australia is Australia's leading non-profit institute for reinforcing steel, providing the hub for knowledge, industry linkage and support.